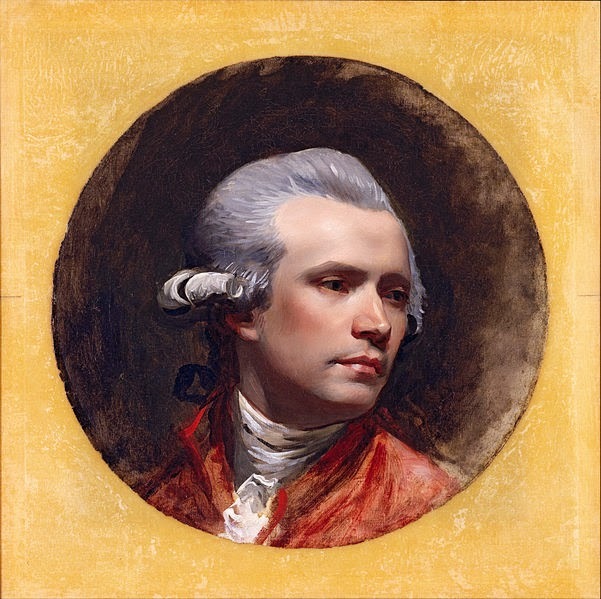 Today marks the anniversary of the birth of John Singleton Copley, a painter of precision and skill. Rather than tell the story of Copley's life, I thought instead that I might revisit my occasional series on painters and their work, by taking a closer look at my favourite of Copley's work, A Boy with a Flying Squirrel. It is a work of technical mastery and perfection, intended to make a mark and it succeeded, eventually changing Copley's career for everything. The work depicts a young boy seated at a table, toying with the lead of a pet squirrel; an exquisitely Georgian scene, at once unexpected and perfectly in place. Everything about the painting was calculated to showcase the artist's skill. The wooden furniture is polished to a gloss, the silk collar of the boy a delicate texture and shade that one might almost touch whilst the animal's fur is rich and vibrant, bright eyes sparkling. Seated at the table on which stands the squirrel is Copley's half-brother, Henry Pelham. The artist's intention with the work was to create a calling card and and he laboured long hours over the painting, perfecting every detail of a portrait that is thoughtful and evocative of the considered seriousness of the young man, lost in a world of his own with his treasured pet. Once the painting was complete in 1765 Copley sent it to London with Roger Hale, who carried as well instructions that the work should be shown to Benjamin West upon arrival. This instruction was dutifully carried out and West in turn showed it to Joshua Reynolds, who was much taken with the artist and his work. Although the painting was received with enthusiasm, it was not without criticism. Reynolds found it a little fussy, with the general feeling among the English artists being that the Copley could stand to be somewhat less exacting with his detail. Nevertheless, there was no doubt that this was a supremely talented artist and Reynolds encouraged Copley to come to England and continue his artistic development. The feedback was exactly what Copley wanted to hear as he was hoping to kickstart his European career. 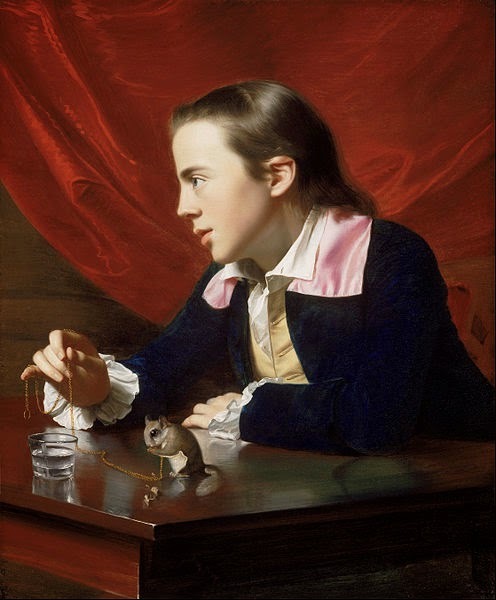 When A Boy with a Flying Squirrel was exhibited in London in 1766, such was the interest that West urged Copley to travel to London in search of success. However, in the event he was unable to leave Boston until 1774, when he sailed from America and never returned. It is amazing. Wonderful texture, etc. Perhaps softening around the edges (the edges of the picture) would have negated the criticism. The lower left quadrant especially. The pinky finger and the table edges should not attract so much attention, taking focus off the boy. The quality of work on the hand, though, is good in that hands are hard to do! Love it. That's so perceptive, the finger really does draw the attention. It also points out of the picture, which you probably know is not the best idea. Still, all in all, wonderful work. The details in the painting are fantastic and delicately strong at the same time. Excellent post on a fascinating artist and unique work of art!